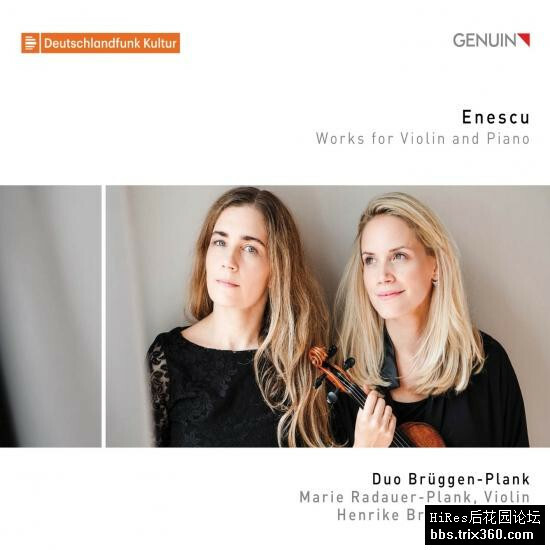 After the great success of its GENUIN debut album, which was highly acclaimed by the press, the Duo Brüggen-Plank is now following suit: the violinist Marie Radauer-Plank and the pianist Henrike Brüggen play works by the Romanian national composer George Enescu, opening up exciting and unknown worlds for us. Enescu covered a long distance from his first salon pieces to his later works. Genuinely unique, he was both modern and influenced by the ancient, exotic rhythms and harmonies of his homeland. The two musicians approach Enescu's colorful soundscapes with verve and musical splendor, refinement, and expansiveness. A folkloristic discovery – and much more!